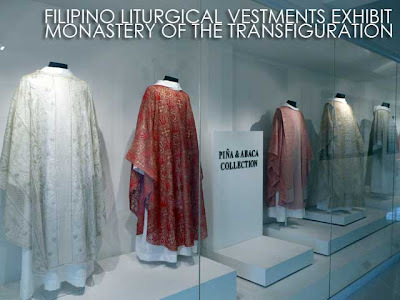 Have you ever wondered how it is to live a monastic lifestyle? I've heard a lot of good things about the Benedictine Monastery of the Transfiguration in Malaybalay, Bukidnon. While most people just do day-trips to the monastery, I got a chance to stay overnight at the guest house. 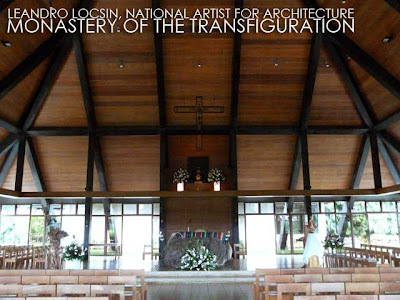 The centerpiece of any visit to the monastery is the church designed by Leandro Locsin, National Artist for Architecture. 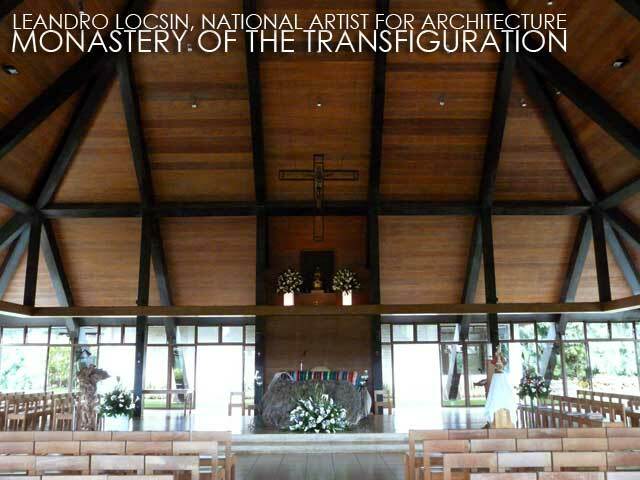 Although Locsin did not live long enough to witness the completion of the church, the plans of the church were the last he signed before he passed away. If you stay overnight, you can actually join the monks in prayer. They pray seven times a day beginning at 3:40 a.m. Staying at the monastery is actually a great opportunity to get away from city life and reflect. 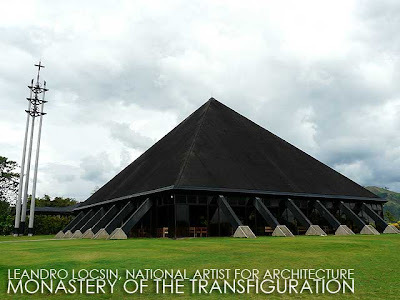 Personal retreats at the Monastery of the Transfiguration are quite popular. And it's quite affordable too since they charge just Php750/person (Php700 for twin sharing) for a one-night stay inclusive of really delicious meals. 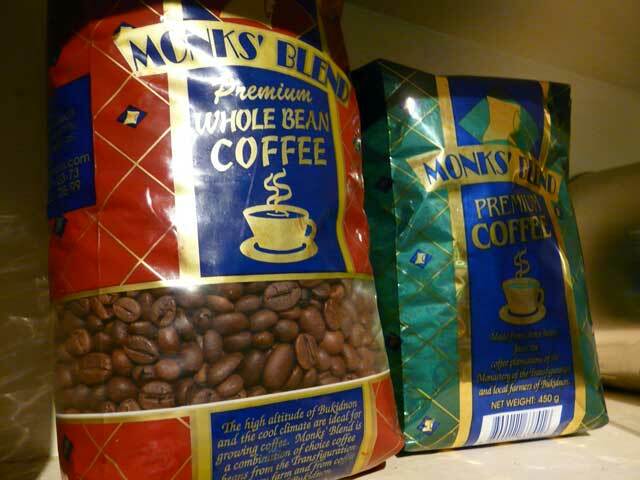 The monastery is quite famous for its Monks’ Blend Premium Coffee (which is the coffee used for a popular ice cream brand), Monks’ Peanut Butter, roasted peanuts, and piniato (peanut brittle). 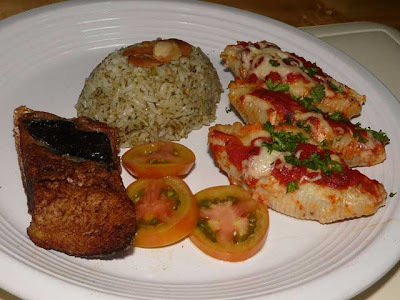 And it also serves great food which I got to savor while during my stay. With Dom Martin Gomez, OSB, a Kapampangan, in-charge of the kitchen, it's no surprise that the food they serve is superb. 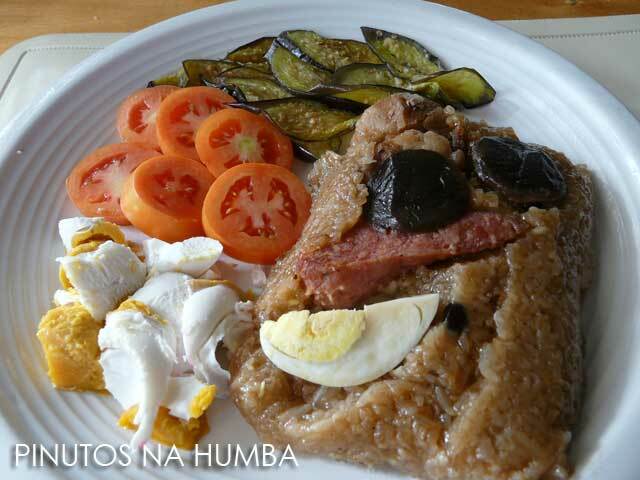 I was lucky they served me the Pinutos na Humba which is among their specialties. 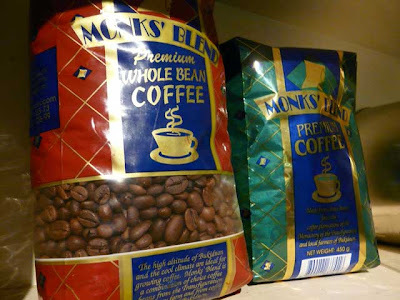 In fact, one of the more popular activities they organize at the monastery every second Sunday of the month is Breakfast with the Monks, a sumptuous buffet spread they prepare for Mass-goers after the 8 a.m. Mass. Every month follows a different theme such as Spanish, Chinese, Kapampangan, Ilocano, Visayan, and other types of cuisine. Another attraction of the monastery is the Museum of Transfiguration Monastery which houses an exhibit of Filipino liturgical vestments. 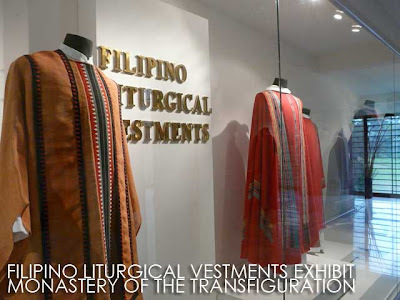 A project of Dom Martin for the Philippine Centennial, it highlights the various weaving traditions all over the country elegantly used in church vestments. 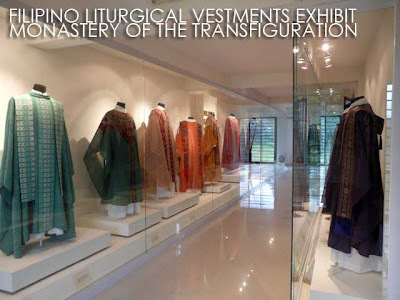 Dom Martin or Gang Gomez, was a top couturier before he chose to live the monastic life. 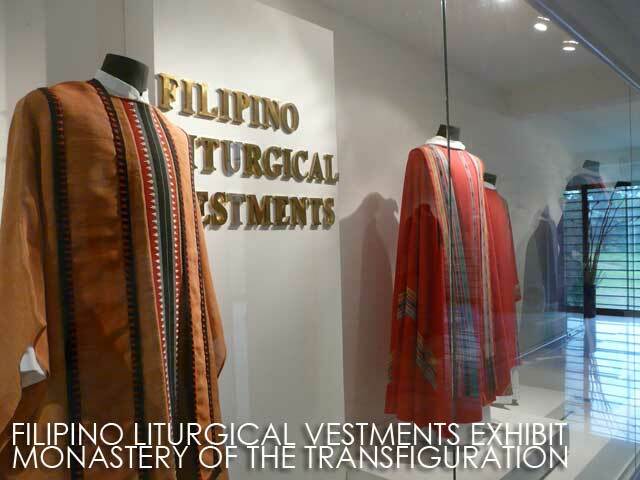 I was impressed with the intricacy of the different Philippine hand-woven fabrics and how they were creatively harnessed for religious vestments. To inquire and reserve for a stay at the monastery, contact Dom Martin Gomez, OSB at (0917) 5105585. Lovely functional piece of art! I really hope I could stay overnight here as well. What a great place to meditate... the food looks divine too! thanks for posting the contact number! it's really great! 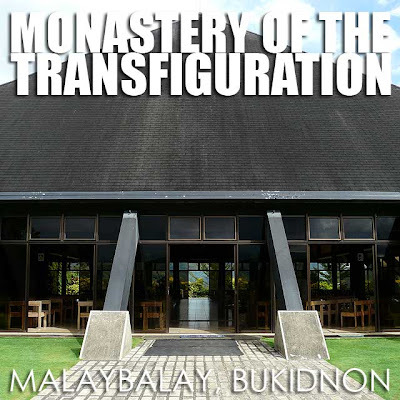 Hi - I was wondering if you have any tips about transportation arrangements to the monastery if coming from Manila. Would appreciate any info you can share. Thanks! I took the bus to Malaybalay. Then at the terminal, I hired a tricycle to the Monastery. The other option is to hire a private vehicle. hi! Thank you for posting this :-) How long was the tricycle ride from the terminal to the monastery? Around how much did it cost (if you can still remember?) :-) Thanks again! May I querry on when is the Mid-life Transition Retreat for lay people scheduled? Thanks for posting the phone nos. 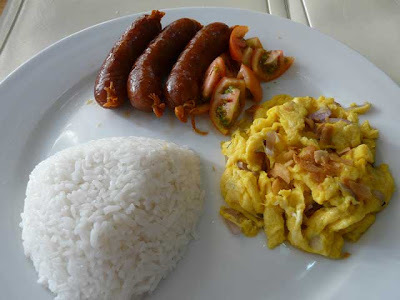 we are from CDO yet we don't have any idea where to get it. Thank you again. A great help. When is the Mid-life Transition Retreat for lay men/ women. Is there a retreat for our teenage daughters? Is there a retreat for our teenage daughters? can we visit the monastery any day of the week or just sundays?? ?